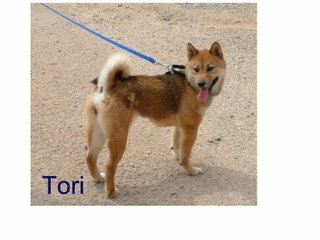 Tori is an approx 3 yr. old female sesame Shiba Inu. She was left behind with her future breeding mate, Taka, when her owner went through a divorce and could not take all her dogs with her. A friend cared for the bonded pair until her landlord told her they must go. Tori is a friendly female and is outgoing and confident. We would like to place Tori with her bonded mate, Taka, who is more dependant on her. She gets alont with other dogs and calm cats She is housetrained and learning to walk on a leash. She is spayed and current on her shots, heartworm tested and microchipped. She is also learning to be crate trained. Taka is an approx 3 yr. old male sesame Shiba Inu. 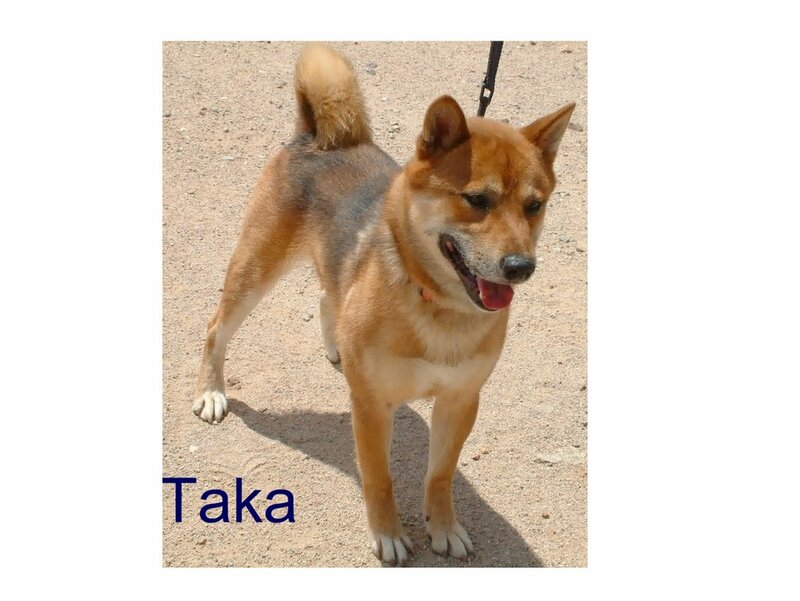 Taka is a friendly male but is bonded to Tori so we would like to place the two of them together. He is good with most other male dogs and female dogs. He does get along with calm cats too. He is housetrained and learning to walk on a leash. He is neutered and current on his shots, heartworm checked and microchipped. He is also learning to be crate trained.